My work is an enquiry into place, the experience of being in place and how dreams and memory populate landscape in the mind. My practice involves revisiting places and playing out present experience against memories of other times, so memory becomes superimposed on memory in a system of repetition and variation. These interests manifest themselves in a visual fascination with repetition and variation, in the geometry of the built environment, the organic forms of vegetation and weathering, and where the two coincide. The places I revisit tend to be what Marc Auge calls non-places, 'space not defined as relational, historical or concerned with identity', places where the near-absence of context allows traces of sensation and memory, that are normally obscured by the activity of daily life, to surface in the mind. My work struggles with the practical impossibility of recapturing these traces yet attempts to create space where viewers can become aware of sensations that are the fragmented remains of their own dreams and memories. 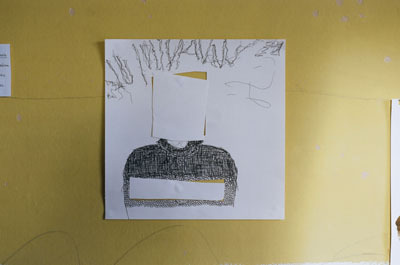 I work mainly with photography, but also, increasingly, with drawing, print making and text.